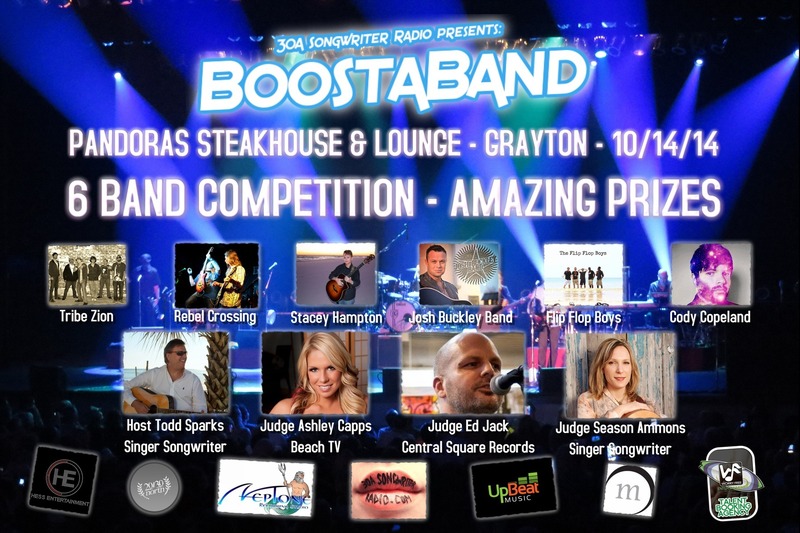 30A Songwriter Radio’s “BoostaBand” competition is set for Tuesday October 14th, 2014! Pandora’s Steakhouse & Lounge of Grayton beach will host this year’s inaugural and unprecedented event! Throughout the year, regional bands have submitted applications in hopes to be one of 6 bands chosen by an anonymous panel. Bands must consist of at least three members, and perform all original music. There was no rule on genre, creating a truly unique and exciting event for spectators! The 6 bands will be evaluated by a panel of 3 judges. The winner of Boostaband takes all! This entry was posted on September 16, 2014 by 850music in Posts and tagged press release.